A (slightly) different format for Skincare of the Week this week … Also, I’ve decided to introduce a little Product of the Week award too! This week was busy and stressful, and coupled with a bout of insomnia, it wasn’t really fun. I did have a good facial this week at the Askinology Facial Bar in Leadenhall Market, which is where I discovered Medik8 Red Alert Skin Serum. You can see it in every picture from Wednesday onwards. As many readers of this blog know; I’m prone to redness, and sensitivity is one of the banes of my existence. I was a bit worried after my facial that a rather, ah … enthusiastic scrubbing with a physical exfoliant (something I would never, ever do at home) was going to leave me red and sore for the rest of the week, but a few drops of the Medik8 before going to bed, and a few drops in my facial routine the following morning seemed to sort it right out. I’ve stuck to blander cleansers since though, just in case a flare-up was imminent, but a pinkness crisis seems to have been averted, so far. Just in case though, I’ve been at pains to avoid essential oils for a few days too – as, with a very few exceptions, they all irritate when my skin is inflamed. 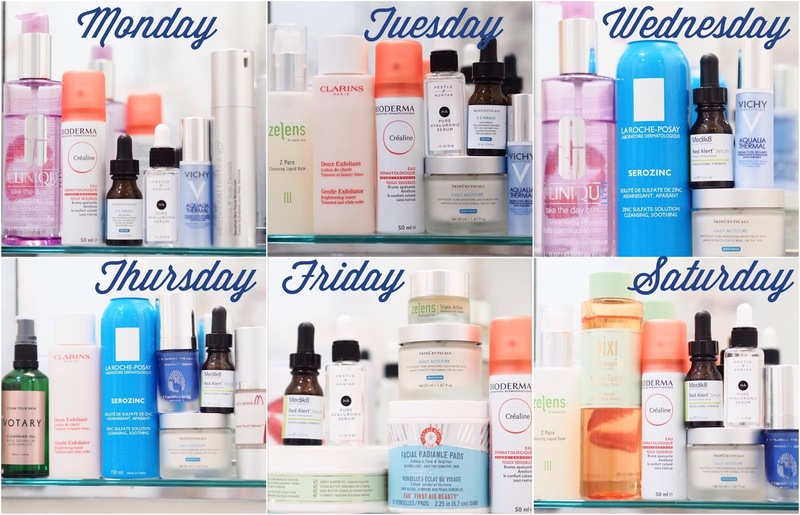 This is a shame, as I am loving the Votary range of oils at the moment and, especially, the cleanser, but they are essential oil-heavy, and delicious with it, but are something I need to wander away from when I think my skin is a bit irritable. 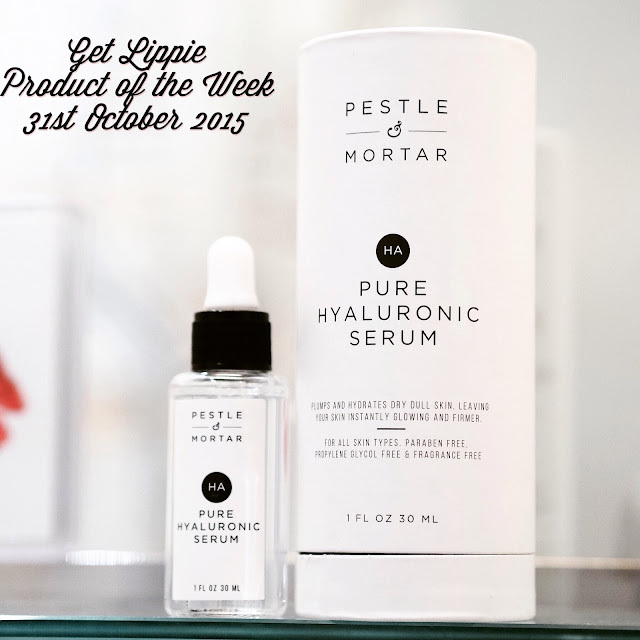 But, the real miracle product in my routine this week has been Pestle & Mortar Pure Hyaluronic Serum, and as such, it’s my inaugural “Product of the Week”! I picked this up on a whim when I was in Liberty recently – my Hydraluron stocks are running low – and I kind of fell in love with it. A slight bout of insomnia this week (funny thing, I’ve been interviewing auditors all week, you’d think that would be a cure, not a cause, but I digress) means that I’ve been aware I’ve been looking tired – so very tired – when I wake up in the mornings and a quick swipe with two or three drops of this has had my skin plumped up and happy-looking even on the shortest of sleep-cycles. With one of the shortest ingredients lists I’ve ever seen* in a skincare product, Pure Hyaluronic Serum is vegan and free of things like phtalates, parabens and silicone. It costs £33 and is currently exclusive to Liberty in the UK. If you’re a bit tired, snap some up. I’ll write about it in a bit more detail soon, but it’s great stuff.